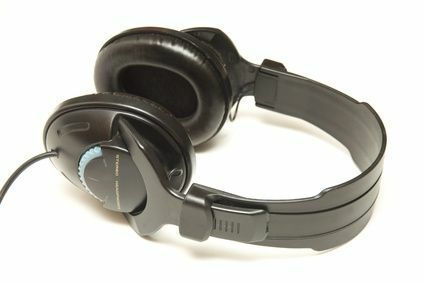 Fiber Optic Headphones has both the cord and the connecting plug technically designed for using Optical Fiber cables and Fibre Channel Technology. There is difference in the spelling – Fibre Channel Technology and Fiber Optic Headphones. Both are fibres but specifically with Fibre Channel Technology we mean the networking technology. Fiber Optic Headphones : Are You Reading as Naive ? If these Fiber Optic Headphones, Fiber Optics appears new to you, you have to go through the articles like Audio and Video Interfaces and Connectors, Twisted Pair Cable etc. articles. A fiber optic sensor uses optical fiber either as intrinsic sensor or for relaying signals. Fiber optic sensors used in Fiber Optic Headphones are not prone to create electromagnetic interference as they do not conduct electricity unlike our usual method used by the headphones or earphones. Optical fibers are used in hydrophones that are related to seismic and sonar application field to avoid the electromagnetic interference. The German company Sennheiser first developed laser microphone for use with optical fibers. A fiber optic microphone and fiber optic headphone are useful in areas with strong electrical or magnetic fields, such as communication amongst the team of people working on a patient inside a magnetic resonance imaging (MRI) machine during MRI-guided surgery. Does my Computer’s Audio Out Supports Fiber Optic Headphones ? Depends on the model. Only known computers are all from Apple Family. MacBook Pro 15″ upwards, Mac Pro has support of Fiber Optic Headphones by default on the same conventional port. The port sizes are same, so it is not possible to predict without looking inside the hole or reading the product booklet. Is there a headphone to fiber optic surround sound converter cord ? No. Please read the above articles to understand the difference between the technologies. Will Fiber Optic Headphones will sound excellent ? Basically Fiber Optic Headphones are for need on certain situation and for professional setup to avoid the electromagnetic interference. For one meter cable, the difference of sound in consumer grade product is unlikely. This Article Has Been Shared 3708 Times! Thunderbolt Expansion Chassis lets you to use your PCIe-based devices connected with Thunderbolt-equipped Mac computer or non Apple Thumderbolt port PCs. Cite this article as: Abhishek Ghosh, "Fiber Optic Headphones," in The Customize Windows, January 22, 2013, April 24, 2019, https://thecustomizewindows.com/2013/01/fiber-optic-headphones/.